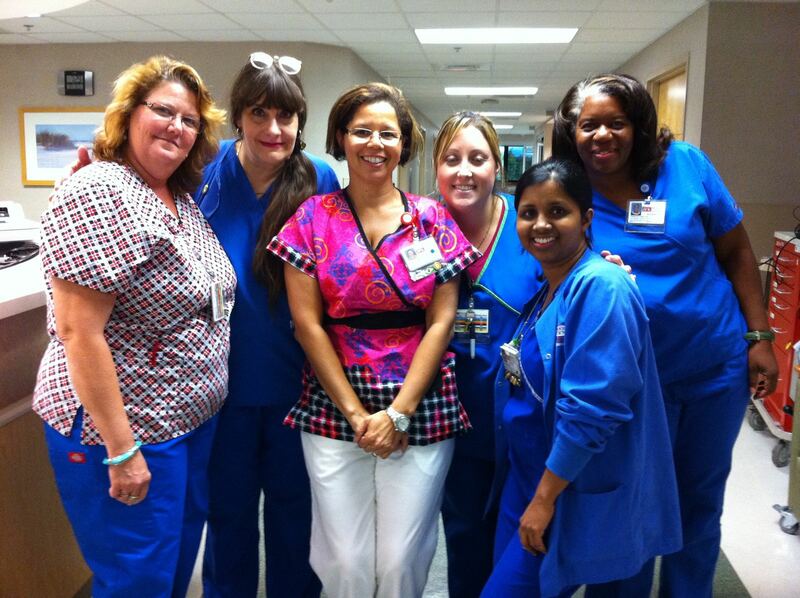 Lilian is a registered nurse and has a master’s degree in healthcare administration and has lived in Florida for over 18 years. Lilian woke up in her hospital bed after having had back surgery four months ago; She was under general anesthesia and was very groggy when she woke up. And what was the first thing she asked her doctor when she woke up?? It wasn’t the usual “how did the surgery go?”, or “I’m feeling a lot of pain”, or even “where am I?”. Instead she asked: “will I be able to carry my samba school’s flag in the parade in September?” That may seem to be a bit extreme but given Lilian’s story on how she came to hold one of the most important positions in SambaLá Samba School, she spoke from her heart. Born in Rio, Lilian grew up a shy but intelligent young lady spending most of her time in Teresópolis, an amazing city near Rio de Janeiro full of German-like chalets, tropical forest, and rock faces that are the envy Yosemite. 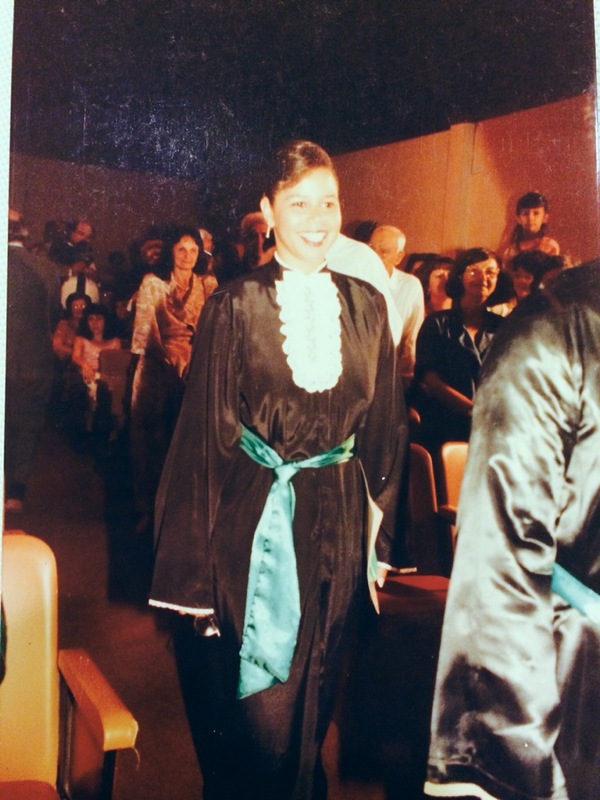 Although she never went to carnaval in Rio with family and friends, she always stayed at home watching all the samba schools on television, learning all the samba songs for the top schools of Rio. Her favorite samba school was (and is) Portela and always looked forward to the CD of songs that came out each December. Lilian is a “carioca” (from Rio) but spent much of her childhood in the nearby city of Teresópolis watching samba every year on television. Her favorite part of the samba parades were the baianas and the porta-bandeira (flag bearer – female), mestre-sala (ballroom master – male). The porta-bandeira and baianas booth wear very elaborate hoop skirts and headdresses and were always twirling and twirling. 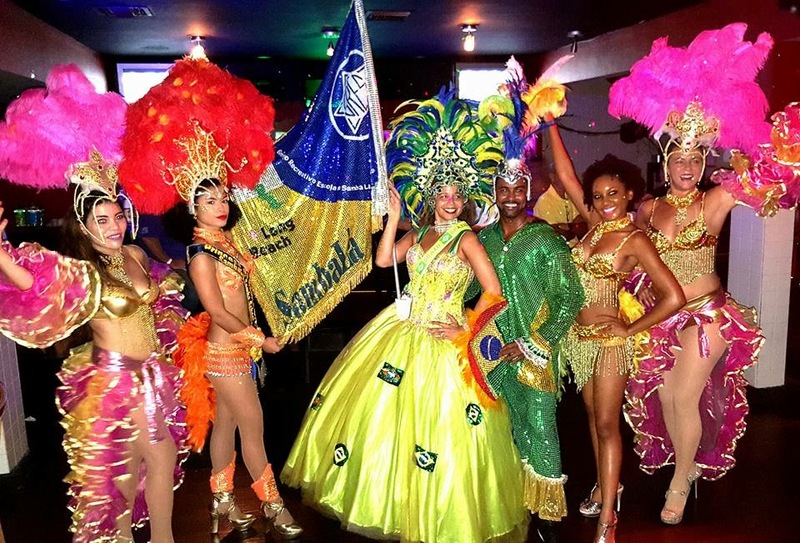 To me, the president of SambaLá, the most important position in any samba school is the flag-bearer. The porta-bandeira carries the school colors and all its hopes, dreams, sweat, and tears. It is unique to the school. It is the flag for which all we members work so hard to make our samba school shine in our yearly parade. It is what we live and die for to defend. But Lilian never imagined at this age of actually being a baiana or porta-bandeira. She was more interested in becoming a doctor. After several attempts to pass the doctor’s test, she wanted to give up her love of medicine and helping in the health of others but her mother pleaded to her to try nursing. Reluctantly, she went on the last day to sign up for tests, took the test, and ended up getting the top score! All those medical studies paid off! 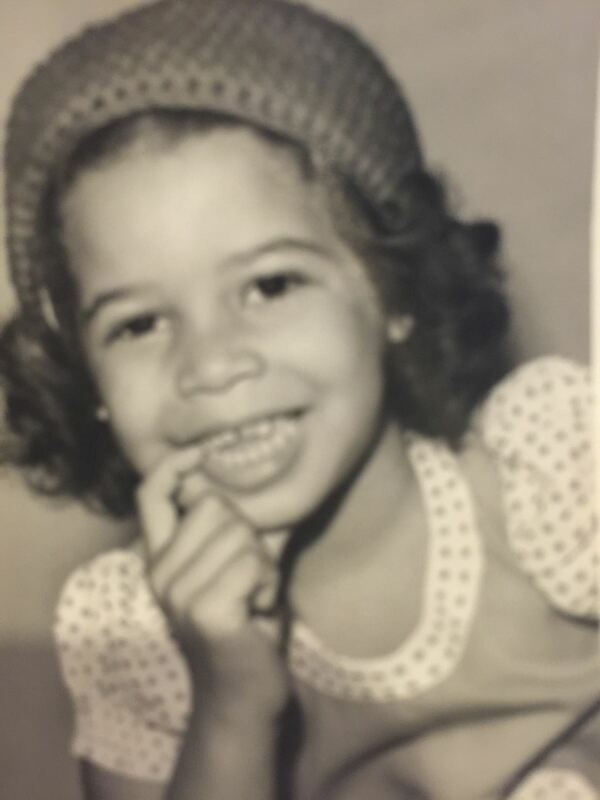 Thus started a life-long dedication to helping others. She got her bachelor’s degree in nursing and was on her way. Lilian graduated in nursing in Brazil. She became engaged but that engagement didn’t turn out the way she wanted and so she changed professions, and was working for a company working with IBM where she used her knowledge English she had studied in her schooling. When she was offered a job in Germany by that company, she was also invited to Florida for a friends wedding. She weighed the very cold weather to the tropical weather of Florida, and on a whim, decided to quit her job, take her savings and try her luck in Florida. When she arrived (1997), she didn’t have a visa to work as a nurse so she temporarily took up waitressing. And as bad luck would have it, she was caught by immigration less than a year into her stay, spending 3 days in the detention center. As luck would have it, a Pastor who didn’t even know what had happened to her somehow arranged for bail and got her out of detention so she could wait for her trial. 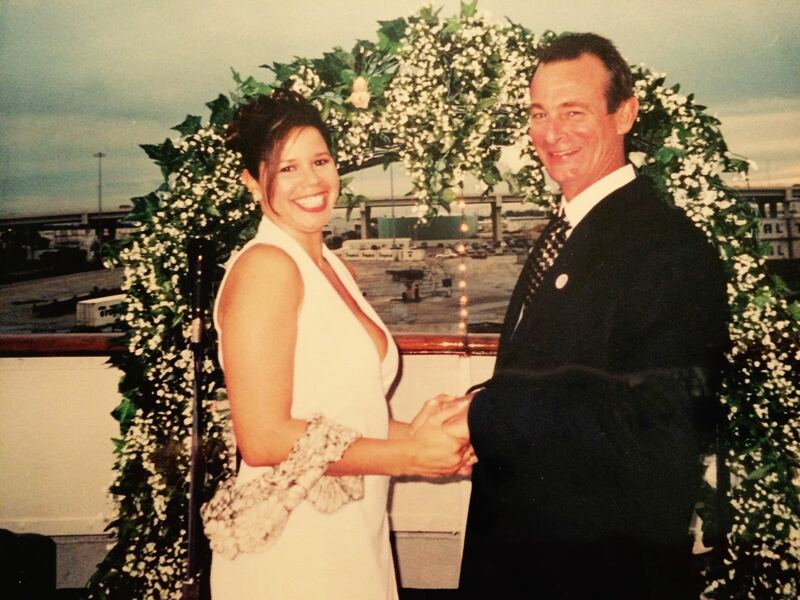 Lilian ended up marrying an American in 2001 and is still happily married today. For the next two years, she worked on a working visa for a foundation waiting for a trial date which was taking a long time. She was advised to go back to Brazil given her current working visa was running out where she thought she would have to wait from one to three years. She flew to Brazil and to her great surprise, she got a returning visa to reenter the Unites States the same afternoon and returned 5 days later. It turned out that when she was detained by immigration, she was still legal in the United States her because she had extended her tourist visa for six more months and immigration had failed to check that fact. So, the case was dropped! 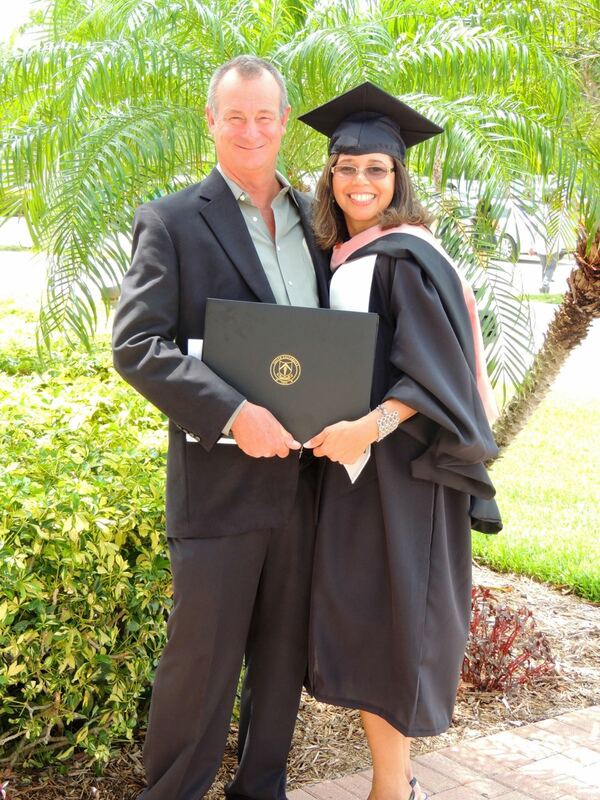 Lilian poses with her husband on the day she received her master’s degree in healthcare administration in 2013. Lilian Married an american who she had gotten to know during her days waiting for trail, got her master’s degree in healthcare, now is a director in the area of healthcare. But how did she become a porta-bandeira? As it would turn out, in 2015, I was asked by my wife and her friends to put together an “impromptu” bateria (samba drum corps) for Lilian’s mother. At the time, I didn’t know anyone in Florida so I was among strangers. Being a surprise for Lilian’s mother who loved samba, both Lilian and her mother did not know what was going to happen. I took my samba drums to the party and put together a small rag-tag bateria and ran them through a rehearsal. We ended up parading into the house where Lilian and her mother were celebrating her mother’s birthday and it was a grand success. People loved the samba drums and started asking questions about dancing, playing and parading. 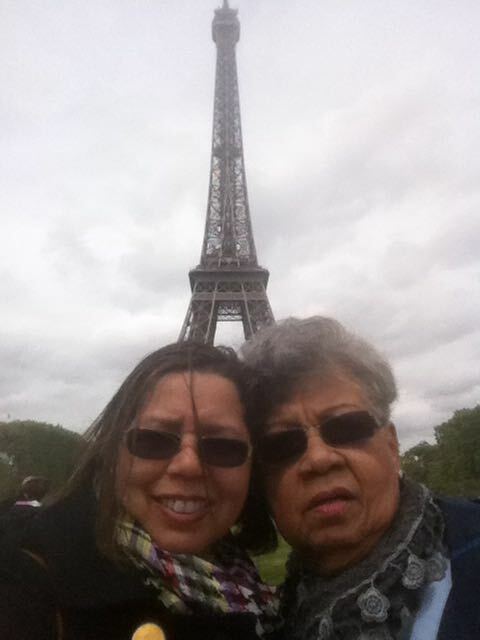 Lilian poses with her mom in Paris. Her mother is a baiana in SambaLá Samba School and was the reason Lilian ended up becoming the porta-bandeira! remember her name but described her to Doris months later. Doris during our practice came up to her and said “my husband and I would like you to be the porta-bandeira for our samba school”. Lilian couldn’t believe it. It was very unexpected but her eyes lit up like the little girl from Teresópolis in Brazil who sat and admired all the porta-bandeiras and baianas from afar. It had come full circle. She would become a porta-bandeira. Today, you couldn’t pry the flag away from our amazing porta-bandeira Lilian. The position is hers and no one could ever take it away from her. She is now training a second porta-bandeira and when I watch her with the flag, I can see a happiness that is has no price and no limits. Lilian’s brain since a very young age has internalized all the moves of the porta-bandeira, the right ways to hold the flag, and the grace and stature needed to carry the most important item we have at SambaLá: our flag. Lilian, thanks so much for being a part of this grand tradition of SambaLá’s porta-bandeiras who have carried this flag so proudly for over 20 years! We are very very proud to have you in our family! I guess it was meant to be! Lilian proudly poses with her school’s flag just before a show at American Rock in Deerfield Beach.